Explaining about euthanasia, Sadhguru speaks about the difficult situation of whether to take a person off life support or not. 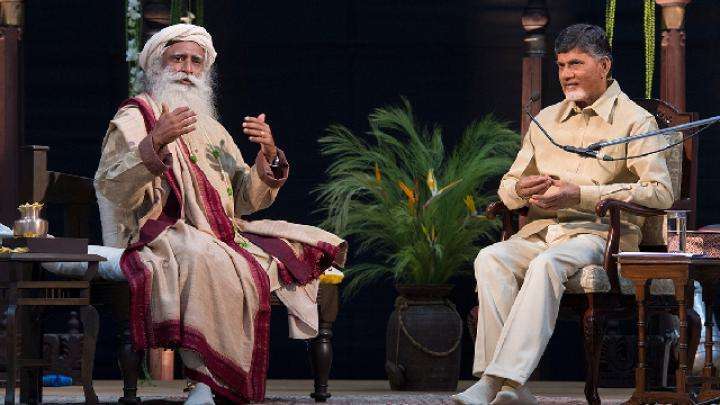 In the recent In Conversation with the Mystic, Prasoon Joshi asked Sadhguru about the situation of people who are on life support, because they seem to be hovering in a state between life and death. Sadhguru elaborates on the two basic types of comatose states that a person can get into and whether they can come out of it. Explaining about euthanasia, Sadhguru speaks about the difficult situation of whether to take a person off life support or not. Looking beyond morality and social compulsions, Sadhguru also mentions the importance of dying gracefully. Prasoon Joshi: But Sadhguru, here when you said accident I… and… and… and find the life has exited, but there are few people who go through this life support. Now, what do you call that? Is that a period the person is there, the life is there? 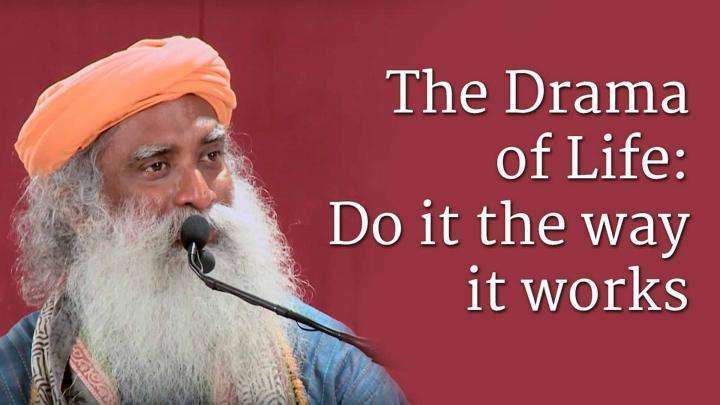 Sadhguru: I… I’ll come to that. Let me finish the menu. They’re interested in the menu (Laughter). So, death by occult processes and the next this is as you already mentioned - a samadhi or a conscious way of exiting. This is the whole menu. So if you had a choice that you could die the way you want to die, would you like to leave in any of these ways or consciously? Because it's the… it's the last act that you perform in your life and you get to do it only once. You may get married four times but you can only die once (Laughter). So, (Laughs) you must do it in style, it's very important (Laughter). So this is the menu. I’m sorry, please repeat that question (Laughter). Prasoon Joshi: Of course, life support and… and also when you’re… you’re talking about samadhi and… and unconscious dying. You know, one has seen in India there was a way people used to leave the place and go to a… a place like Kashi and will die - the preparation for death. And in… in today’s context how do you see that – the preparation for death or drying… dying gracefully or going somewhere else. Please… And, sort of two questions – one is about life support. What is the state of life in the life support? Sadhguru: See, the business of the doctors and the medical science should be to help the living. It's not for them to enter the realm of death. As you said it's life support, not prevention of death, okay? So somewhere this line must be drawn. It would be fantastic if you can train medical profe… professionals to be able to see when it is not so, but that would be a dangerous things because misuse will happen. People will pull the plug on people who can't pay the bill or whom they don’t like, you know (Laughs)? Things will happen. So because of that we are just allowing it to go whichever way it goes because if you touch it all the consequences of it you cannot control. So you support the life only with the hope that it will recover and once again be back to life. There is… Nobody is supporting it with the intention that you just want to put it on the machine then run it forever. The hope is because a few have come back after years of comatose and the people who love them and the families they are hoping against hope that this person will come back and maybe a doctor is trying to assist that. Sometimes it goes to absurd levels because nobody can take the call, tch. Nobody is able to take the call because nobody is authorized to take the call as such. So because of that it goes to certain levels. But life support is only with the hope they will bounce back. Now, if you observe a person in comatose – there are two types of people with… One type of people the body is refusing to respond but their mind and emotion is active, this is torture. Prasoon Joshi: Sadhguru, this is not exactly true. Sometime the family, the people, the doctors together, all of them somehow almost sure and I’ve seen such situations that the guy, the person is not going to come back but there is a kind of human consciousness, a kind of guilt, a kind of responsibility, a kind of love keeps the person in that state. What I wanted you to, you know, throw light on is… is - what is the state of this life at that point? With this… Because the life is not manifesting itself through this body and neither it has taken, if you talk about rebirth or reincarnation an… an… another life, it has not done that. So where… What is the state of this life? Sadhguru: Above all these things that you mention there is a law. If you pull the plug there is a law for that. And that’s what I was coming to – there are two conditions in this. In one condition the body has become inert that you are not able to get the body going but the one who is within - the mind is active, emotion is active, all perceptions are there – this is torture because the body is refusing to move. But there’re other kinds of situations – the body seems to be reasonably vibrant and active, digest food, everything is happening but inside it's become blank. If inside has become blank, if you wait for five cycles of twenty-one days then for sure life is gone but body can be still kept alive. Because of various medical processes you’re keeping it going. Body may not dwindle because body is still strong – without a life you’re just keeping a body alive. This is like an empty shell but shell is kept alive. This is not a good thing to do but if the person inside is alive but the body has gone blank, now it's a very difficult decision for anybody to take. And for all you know many times all the things that you’re talking whether to pull the plug, not to pull the plug, all this the person understands. It's… It's a very bad situation. It shouldn’t happen to anybody but when it happens how to deal with it? There is no particular way because it's individual sensitivities. Just because the pody… the body cannot get up and the person understands everything, feels everything, you can't cut him up – pulling the plug is as good as cutting up, you know? So this is a hard decision to take - there is no particular way to do it but if only the body is vibrant but inside has gone totally blank – twenty-one… five cycles of twenty-one days you can wait. After that very comfortably you can pull the plug, for one hundred percent it's gone. Prasoon Joshi: And Sadhguru, then what is your take on euthanasia or where do you… Because here I’m… I’m also going to come to… to… to the will - how much of will this life has and how much is it left to others. Your… your point about euthanasia? Prasoon Joshi: Suppose he’s in a state to say that – so that brings to a suicide. So do you think he has the will and… and… and the right to… to exercise that? Sadhguru: See the simple thing that we did in this country is, if an individual decided, those who do not have the capability to smoothly exit this body, without causing any damage to it, those who did not have this, they always walked away into the forest and just sat under a tree. After some time, without eating, they would just go. This is the normal vanaprastha. You’ve heard in Mahabharath all these Kunti, all the Dhritarashtr and even the Doordarshan guy - (Laughter) Sanjaya. All these people went into the forest. Unfortunately the forest caught fire – they’ve gone into the forest to live on dry leaf and this and that for some time and slowly dwindle the body and exit. The body begins to understand. All the creatures – most creatures do this. You must see how a cobra dies. It's unfortunate that no documentation about these things have been done. If a cobra realizes it's time to die it will go up to some place where it will not be eaten by predators and things. Usually it’ll ci…climb… climb up a tree and sit on one branch. People who live in our Yoga Center have this experience, a few times they have seen this happening. And it just sits on the branch and that’s it. In about twenty to twenty-five days it will die. Because the cobra can easily exist - its normal meal itself is spaced out somewhere between eleven to fifteen days. Because of that, beyond twenty - twenty-five days, thirty days it will die. So it will simply sit without eating and slowly dry up just like that. Even a creature, a crawling creature like that, has this much awareness. This would be the best way to do, but even if I talk about it today the so-called modern society which eats five meals a day (Laughter), they will be terribly upset and they won't let me into America because they eat twelve meals a day (Laughter). Everybody’s recommending this (Laughter). So this has been the normal process. If you’re not a yogi, if you do not know how to exit, you come to a place, you sit quietly by yourself. If your relatives are around they won't let you do that, they will stuff food into you, you know. Because our idea of love is to stuff the people with as much as we can (Laughs). So (Laughs) they won't let you do those things. That’s why people went to some place, sat in a place where the energies are good because ha… being in a positive, live energy space is important because to be without food becomes very effortless if the outside energy is conducive and supportive. If the outside energy is little depressive, you will see you will need lot more food and the compulsions of food are strong within you. So this is a way but you can't suggest that to modern life. They will, you know… (Laughs)? Sadhguru explains that action should always be the way the situation requires it, but whatever our action, we can remain joyful within us. Searching for peace? Well, you can put your quest to ease and take charge! 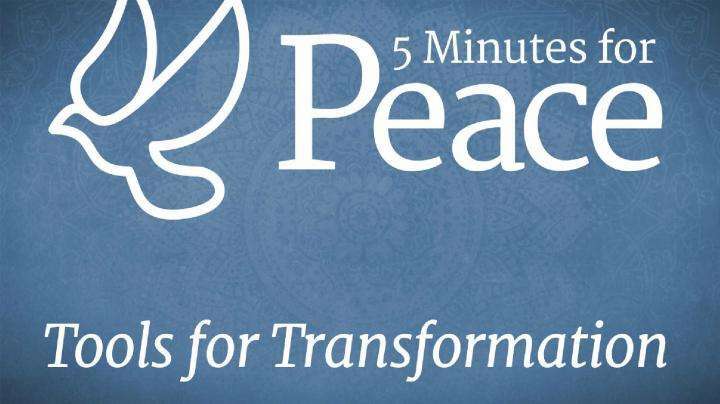 Here’s a way to create a chemistry of peace within you.